Our Pigeon Trapping Technicians will ensure you have a Pigeon Free property. Our Pigeon Removal Technicians utilize various Pigeon Deterrents to keep your property Pigeons Free. 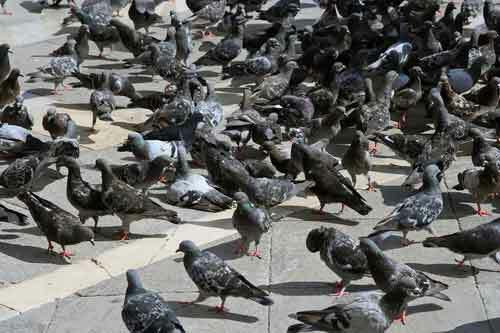 Let Us be your Pigeon Control Company that you can rely on, Call Us Today. 1-844-305-8999. The uncontrolled pigeon population in New York City poses a threat to public health, infrastructure and the overall quality of life. Because of the easy access to food, pigeons are spending less time foraging and more time breeding. Bird droppings are very acidic in nature. They eat away at many substrates, especially tar-based roofing materials. Droppings which are left to accumulate on roofs will eventually eat into the material and cause leaks. The life expectancy of a warehouse roof can be cut in half by just a light, but continuous application of bird droppings. It is not feasible to live trap and relocate pigeons as a pigeon trapping and removal strategy. They have an excellent homing instinct and will return to their original nesting area, even if relocated thousands of miles away. 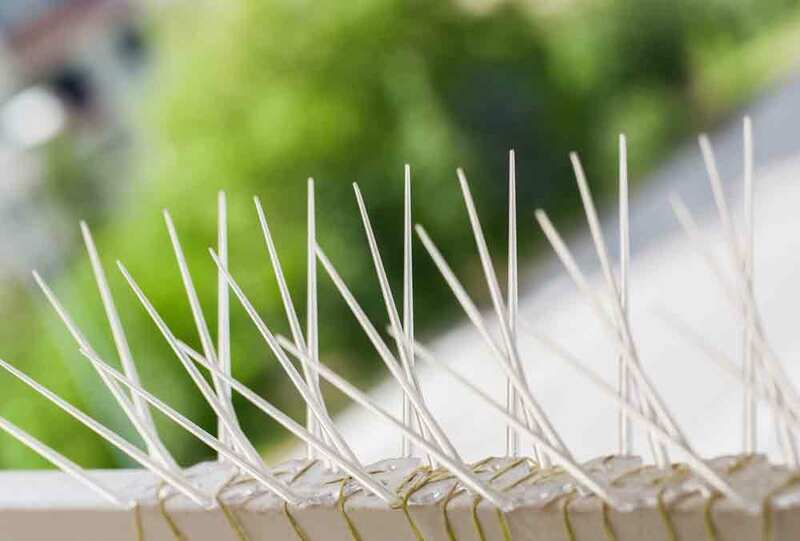 Therefore, we are left with urban pigeon control tactics: the installation of bird barriers, such as pigeons spikes, and pigeon netting, shock track and other pigeon control products. The idea is to prevent the birds from landing and roosting in one area. 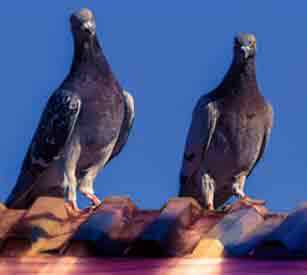 A pigeon deterrent is the key to a pest free environment. 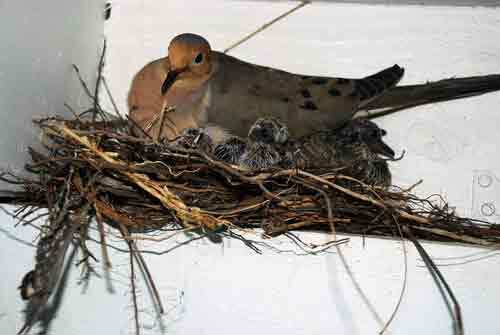 Pigeon nests are unsightly and can contain disease, pigeon mites and other insects. Our trained and certified pest control technicians can remove the pigeon nest, clean and sterilize the surface area as well as treat for mites or other insects that may have established harborage in the nest. Juvenile pigeons can be safely removed, and exclusion materials can be placed to prevent the pigeons from returning. Our Trained Pigeon Control Technicians at Dependable Exterminating provide humane Pigeon control, Pigeon prevention, Pigeon removal, pigeon trapping. We offer Pigeon Netting products to prevent pigeon nesting and roosting. A client of ours had Pigeons Nesting on Window Ledges of their office building. Our Technician installed various Pigeon Exclusion products to stop the nuisance pigeons from nesting. The picture below shows Bird Wire that was installed. 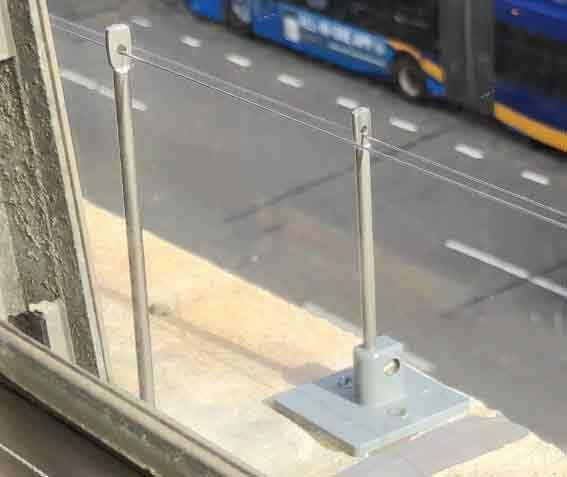 This will prevent Pigeons from landing and nesting on the Office Building’s Ledge. 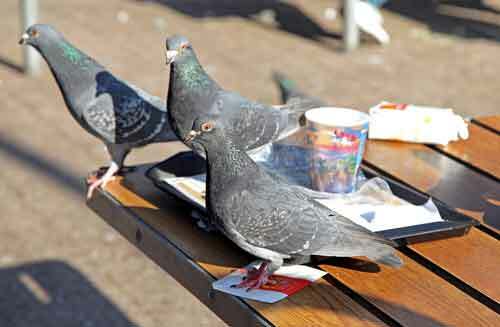 If you have nuisance Pigeons and would like them removed, Give Us A Call Today. 1-844-305-8999. We specialize in Pigeon Removal. Dependable Exterminating Company has New York State Department of Environmental Conservation Certified Wildlife Nuisance Control Operators on staff to address your nuisance wildlife needs. All nuisance animals that are trapped are treated in accordance with the guidelines set forth by the NYS DEC. All animals that pose no threat to public safety are humanely released into their natural environment. Give Us A Call Today. 1-844-305-8999.